Bing Desktop delivers easy access to better search results no matter what you are doing -- inline while reading a doc or simply typing and clicking into an always present search box. And it provides the information you need to stay informed, from weather forecasts, to trending news to your Facebook content. 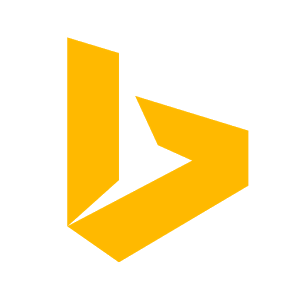 You’ll get all this plus the beauty of the Bing homepage on your Windows desktop each day. Getting the information you need to start doing is even easier. Simply highlight a word or phrase and preview search results without leaving the document or webpage you are reading. Or, without first launching a browser, start a search by simply typing into the Desktop search box on your Windows task bar. Access top news summaries, videos, trends, weather forecasts and Facebook friends' news feed in the apps on the toolbar. Bing Desktop makes the Bing daily homepage image your desktop background or you can choose from any of the last nine daily images. Each day, your Windows desktop will reflect the fresh and engaging Bing home page image. Note: By clicking Download you agree to Microsoft Privacy Statement and the Microsoft Service Agreement. You'll get future updates to Bing Desktop and other Microsoft products from Microsoft Update. This software may also download and install some updates automatically.